The purpose of this paper is to make a review of renewable energy generation and recovery from untapped bio-energy resources within the present Lagos metropolis.The efficient use of bio-energy has been tagged as part of the solution to be adopted for emission reduction, and as a necessary inclusive tool towards creating a sustainable city. Most cities in Nigeria are faced with a waste management problem. The insufficiency of services results in deterioration of the urban environment. The focus of this thesis is on creating a sustainable Lagos city by utilizing the opportunities that come with the utilization of untapped biomass resources. In order to fulfill this purpose, the present waste management methods were analysed, data was collected in the form of books, articles, journals, online sources and some interview were carried out. In the last few years, a lot of laudable actions have been achieved in Lagos waste management, but with the annual increasing population, the challenges seem growing in bounds. The research was carried out within the scope of the CONNECT project. The study lays emphasis on potentials of efficient municipal solid waste management, sawdust utilization and proper engineering and management of landfill sites. A well planned integrated waste management, which includes efficient solid waste, landfill gas and sawdust utilization, will take Lagos city to the path of sustainability. The cities of the third world countries are growing at a very alarming rate compared to those of the western world. UN-Habitat report observed that Africa is the fastest urbanizing continent, having cities like Cairo, Lagos and Nairobi growing at rates that would make them triple their current sizes by the year 2050 ( UN-Habitat 2010 ). Such high rate of city growth has implications for municipal waste management among other social services required in the urban communities. Efficient waste management is a necessary ingredient towards creating a livable and sustainable environment. Sustainable waste management is a process that must begin with effective waste collection. It should not be left in the hands of illitrate and miscreants in order to save the city from the problem of poor planning, diseases and hazardous gas emission. The management of the materials, their separation and recycling could be bring a substantial revenue and enhance the transition of the state towards its metamorphosis into a mega city. There have been efforts to meet the increasing global energy demand due to rapidly changing lifestyles and human activities. Relying on the traditional fossil fuel alone is like taking a risk of backward trend in modern developmental strategies ( Mohammed, Mustafa, , Bashir,, Mokhtar, 2012, p 257-268). As fossil fuel reserves are limited and declining by the day, and considering the negative consequences of its carbon emission to the environment, these make renewable energy a worthy venture that has attracted global interest towards energy solution. Production of renewable energy from biomass is one of the main alternative energy resources because of its global availability. About 10% of global energy supply is generated from biomass while the remaining 90% are obtained from fossil fuel and other conventional energy resources. Observing this trend closely clearly indicates that the entire world is exposed to serious environmental hazard if the trend is left unchecked. ( Hamzeh, Ashori, Mirzaei, Abdulkhani, & Molaei 2011 , p 10. ). Due to the growing world population, increasing energy demand per capita and global environmental concern, there is a need for long-term alternative energy supply. The world's energy demand is expected to grow by about 50% by 2025, especially in the rapidly emerging countries. (Agbro & Ogie 2012, P 149-155). The aim of this study is to explore three sources of bio energy within Lagos Metropolis, by studying the operations of waste management in Lagos city, to review the prospects of utilizing the potentials of Olushosun landfill, and saw dusts that are generated daily at Oko baba wood processing factories. 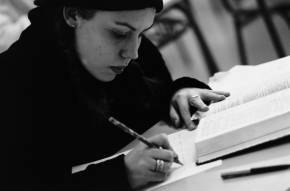 The research method adopted for this study involved a literature review of both online and offline academic materials. Materials used include books, reports and scientific publications. Interviews were also conducted with related industry experts. 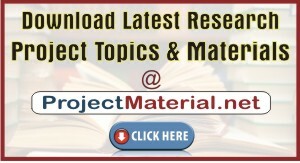 To further substantiate the objectives of this thesis, the research was carried out in relation to CONNECT project. The acronyms means the Co-creation of network modes for market entry in developing countries. It is a research project that is being carried out by Lahti University of Applied Sciences, Laurea UAS and Hämellina UAS, with main objective of supporting growth and speeding up internationalization of Finnish Renewable Energy (RE) Small and Medium Scale Enterprises (SMEs) to developing countries through sustainable networks.